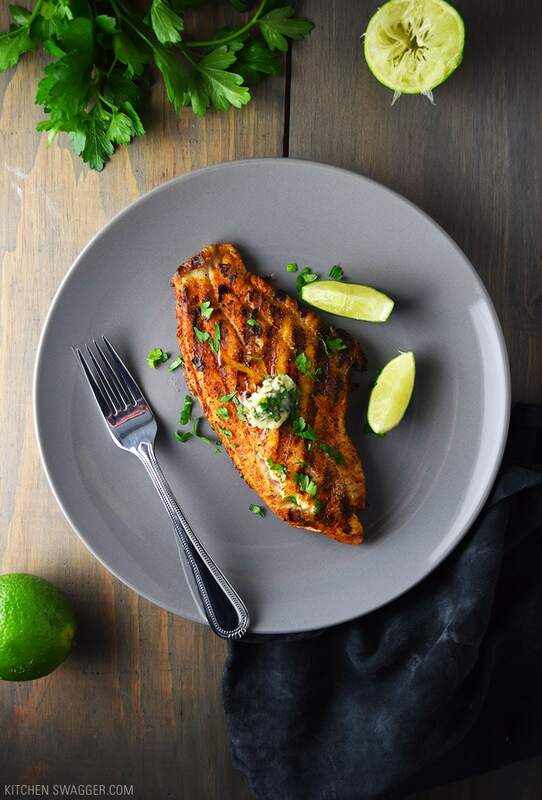 Grilled blackened catfish with cilantro-lime butter is a very simple dish that will straight up transport you from your kitchen to the Caribbean (I swear). It’s a mildly spicy and limey dish that’s brought together with fresh cilantro, butter, and garlic. 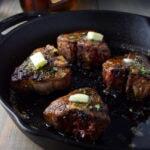 My favorite part about this recipe is just how easy it is from start to finish. 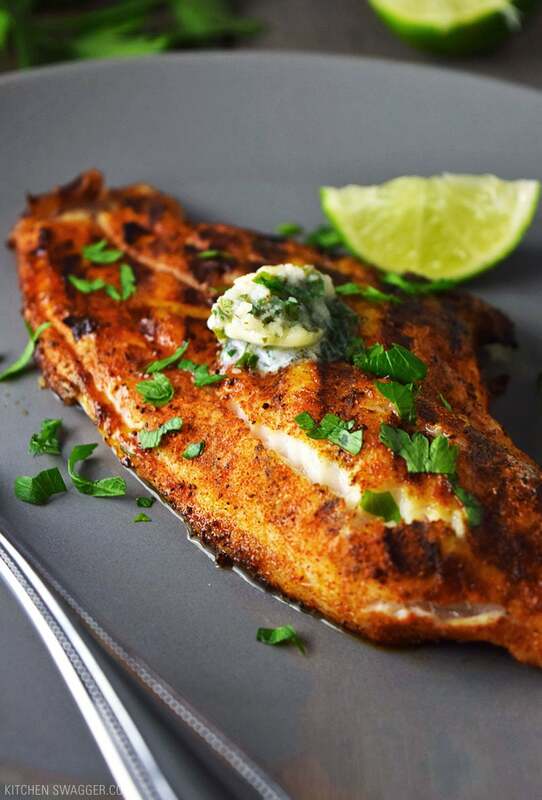 The catfish is simply seasoned with blackening seasoning, grilled, and topped with cilantro-lime butter. 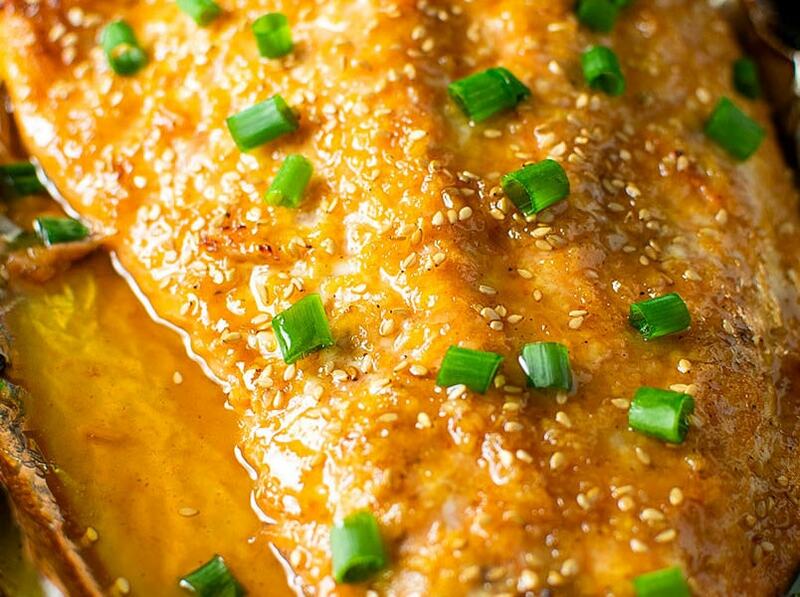 If you’ve never tried “blackening” fish, YOU MUST. 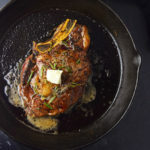 Blackening essentially introduces worlds of spicy, smokey, cajun seasonings. I wouldn’t consider it HOT spicy, but it does have a mild degree of heat. Your typical blackening seasoning consists of dried spices such as paprika, garlic, onion, cayenne, chili, salt, black pepper, and oregano. You can make your own or used prepared blackening seasoning such as Old Bay. Cilantro-lime butter is one of the most amazing toppings I’ve ever come across. 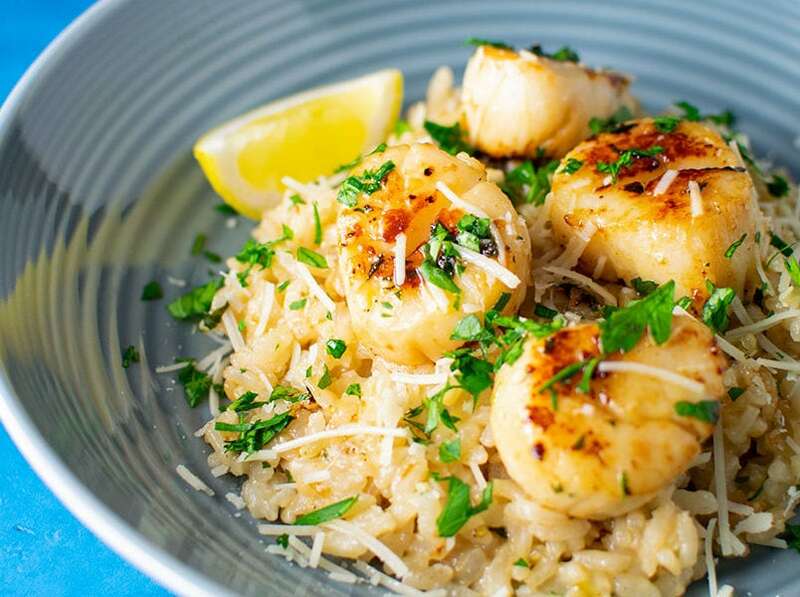 It’s a recipe that came from one of my favorite cookbooks, Guy Gourmet. It’s a compound butter that combines butter, fresh cilantro, garlic, and fresh lime juice. It makes for the perfect topping for almost any type of seafood, and becomes the perfect compliment to the spices. If you don’t like cilantro, or you’re one of those unique individuals who thinks it tastes like soap (I’m truly fascinated by this), fear not—you can substitute with parsley. I don’t think it’s quite the same, but it’s still Shawn approved. No catfish? I would also recommend this with sea bass, mahimahi, or tilapia. For the cilantro-lime butter: Place butter in a small bowl and microwave for 10-15 seconds to soften. Using a fork, mash in garlic, juice from half a lime, and 1 tablespoon of minced cilantro. 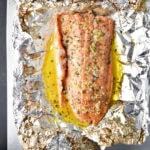 Spoon butter onto a small sheet of tinfoil, doing your best to reshape into a log, roll up the foil and place in refrigerator until ready to serve. 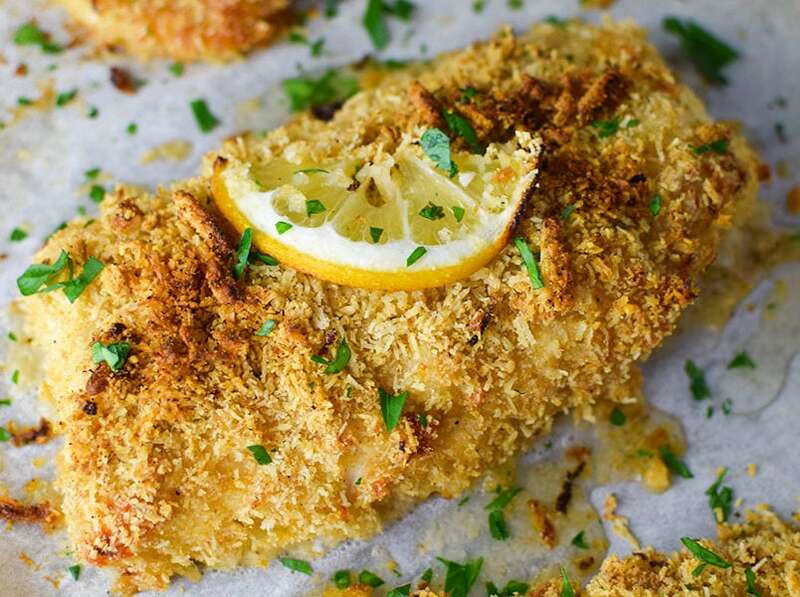 Coat each side of the catfish liberally with blackening seasoning, about 1 teaspoon for each side of the filet. You can use more or less depending on preference. 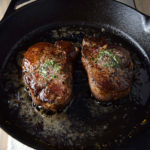 Lightly brush the grill with olive oil and grill filets for 5-7 minutes per side, or until white and starting to flake (The olive oil prevents the fish from sticking and breaking apart). 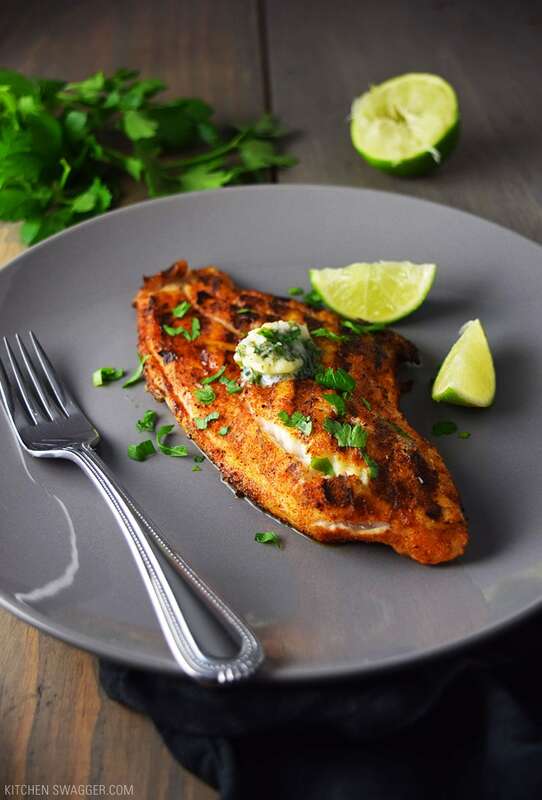 Remove filets from the grill and top each with a slice of cilantro-lime butter, sprinkle with fresh cilantro, and serve with a lime wedge. 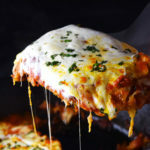 Tried this recipe and it is a home run!! I added some lime zest — why waste it, and my garlic was roasted from the freezer. I also sprinkled some cayenne on I like it HOT’s fillets. Mr. HOT loved the catfish. Served it with my Spanish rice pilaf and mixed cauliflower, colored peppers, and green onions. This is a WINNER RECIPE!! Made this for dinner using catfish seasoned with Beazell’s Cajun Seasoning. I was liberal with the seasoning. It was delicious and my husband said it was amazing! We loved this. I made my own Cajun spice, very easy. Watch the grilling, 5 minutes was too long, 4 on each side was enough. Depends on the size of your filet. Made it with roasted potatoes. So good. Definit keeper. Don’t like cilantro so subbed with parsley.